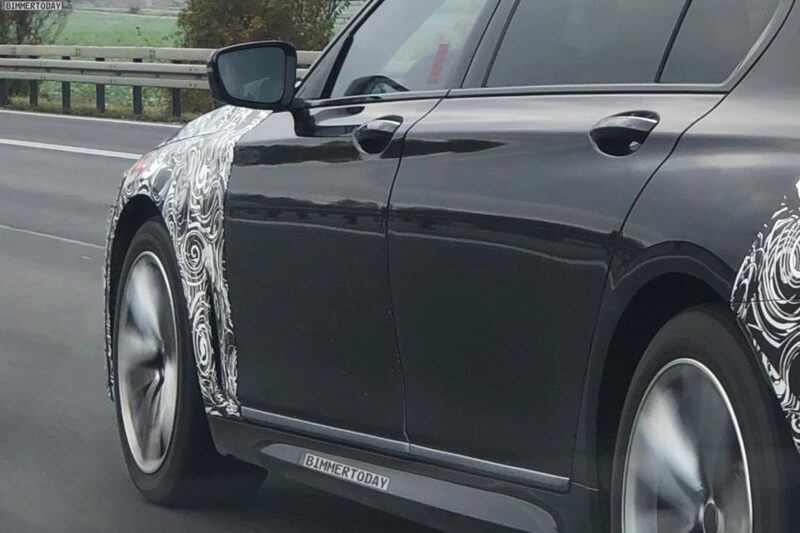 The BMW luxury class will get another update in 2019. 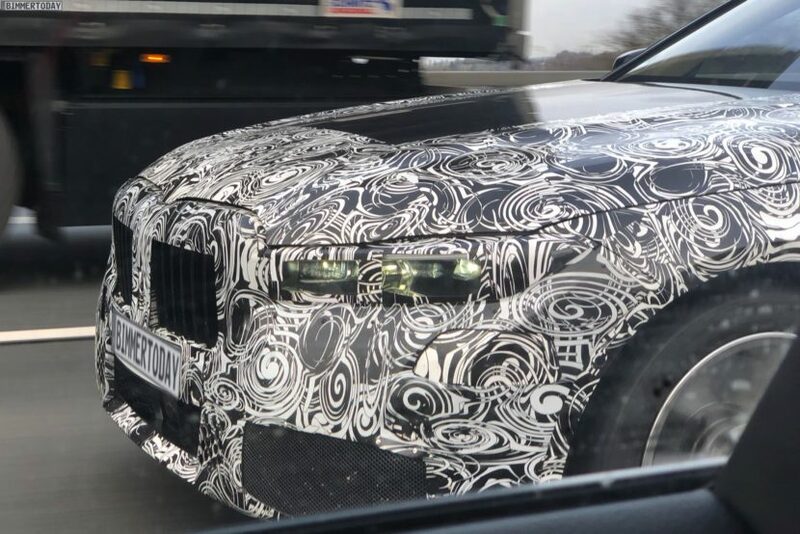 Along with the new 8 Series family and the X7 large SUV, BMW will also debut an extensive refresh of the 7 Series limousine. 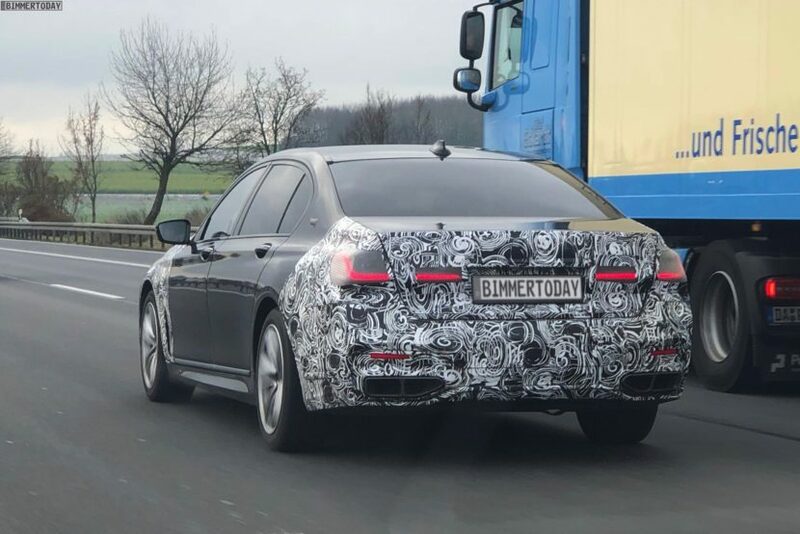 Markus, a reader of our sister magazine Bimmertoday has caught on camera a test mule of the 7 Series facelift. His photos provide some interesting pointers to the facelift, which seems to be very extensive. Compared to recent facelifts, the prototype doesn’t just carry the funky camouflage, but also additional sheet metal which hides the design details more than ever before. Whether rear bumper, taillights, trunk lid, front fenders, hood, headlight or front bumper, the extra layer of protection aims to hide the actual design cues. But some things are hard to hide, like for example the large double kidney at the front which is clearly closer in size and massiveness to the X7 than the current BMW 7 Series. The larger kidney will also help the 7 Series differentiate even more from the 5 Series business sedan, an issue that was often brought up by BMW customers. The strong camouflage around the headlights also suggests that something important is happening there as well. Same goes for the front fenders which are completely masked off and covered with additional metal. One little detail that can be seen relatively reliably is the Air Breather now sitting vertically behind the front wheel and is no longer positioned at an oblique angle. 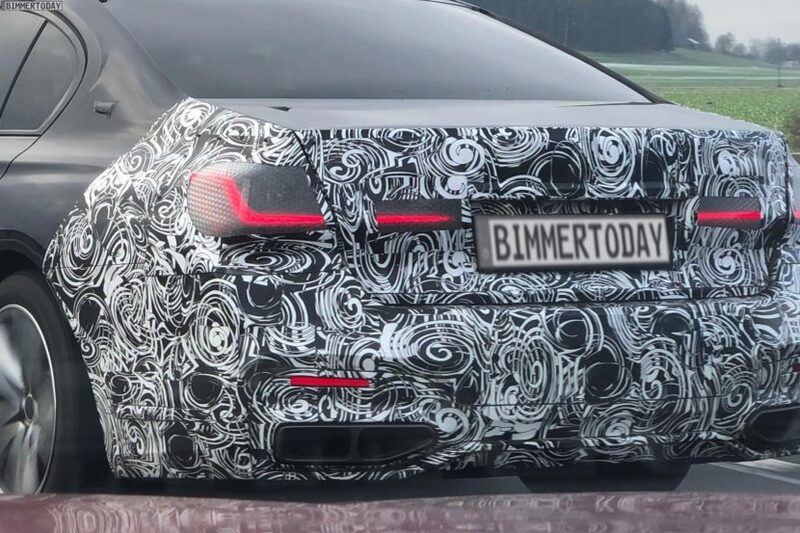 In the back, which is also hidden by film and plastic camouflage, we can see a new shape and design of the taillights which will be significantly different from the current 7 Series. 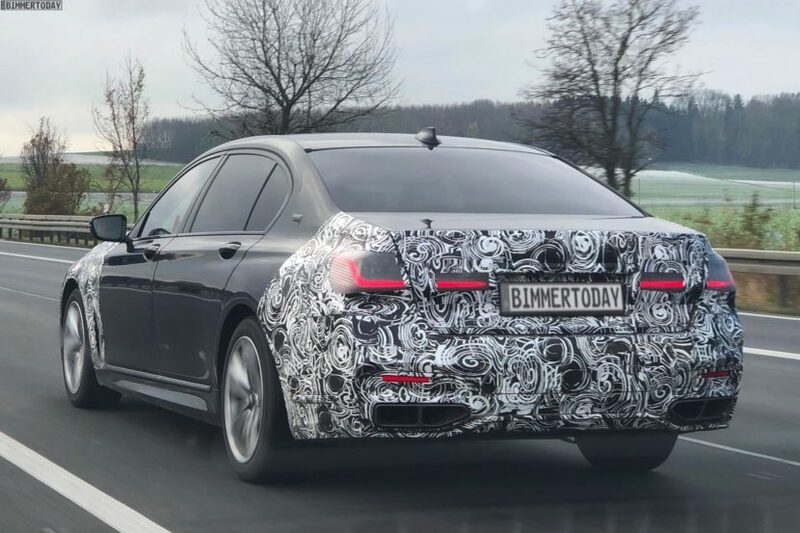 The tailpipes with a diffuser in the middle might also indicate that this prototype could be a BMW M760Li with V12 engine, yet the future of that powerplant is still unknown to us. We also expect to see some decent updates in the cabin, with the latest tech and infotainment system being included in the high-end limousine. BMW is likely to unveil the new 7 Series in summer of next year with sales following shortly after.